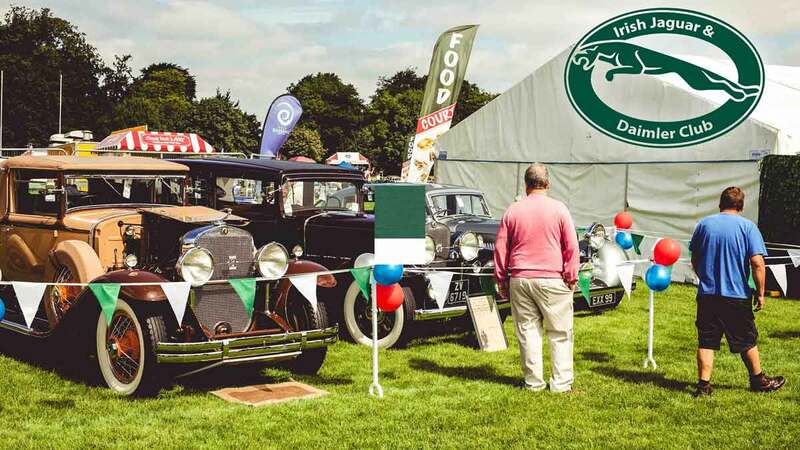 The 28th Irish Classic & Vintage Motor Show, Ireland’s largest classic car show, will be held in Terenure College, Dublin, on Sunday July 7th 2019. Cars can be entered Online or by post up to Monday, June 25th by downloading the Entry Form and paying by cheque. The event is open to the public from 10.00am to 5.00pm and free car parking is available within the grounds. Please follow the signs and marshals instructions to enter and exit the car parks via Fortfield Road and Templeogue Road. Tickets may be bought at the gate or by credit card online using the links shown below. 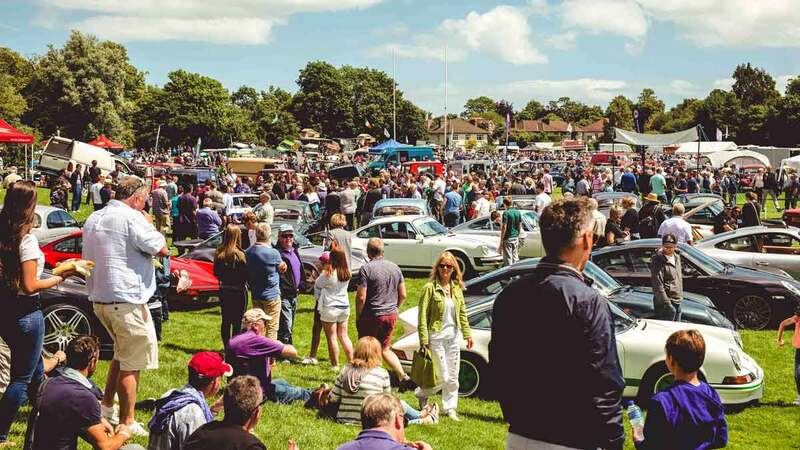 Up to 1,500 cars are expected, with prizes presented in the arena at 4pm, and there will be music and children’s entertainment during the day. This year our chosen charity is the Dublin Samaritans. We are Ireland’s largest classic car event. Many thanks to the owners of the 1,380 vehicles who attended last year! Highlights from last year included a Jaguar Low Drag Lightweight E-type and the Jaguar R-D6 Concept Car. Also on display will be selected Fire Brigades, Kit and Custom Cars, Sports and Super Cars with up to 1,500 vehicles expected in total. Autojumble and trade stands, refreshments, and children’s entertainment will also be available throughout the day. (Open in Map App) here. Terenure College is located at the Templeogue Road / Fortfield Road crossroads in Dublin 6W. If travelling on the M50, exit at Junction 11 and head East on the N81 towards Templeogue and Dublin City Centre. The grounds are provided by kind permission of the Carmelite Order. Please note that no dogs, charcoal fired barbecues or unapproved trading or commercial activities are permitted – this includes banners, leafleting and signwritten vehicles. This year our chosen charity is Dublin Samaritans. Their Free Phone number 116 123 is available 24 hours a day, 365 days a year to anyone who needs to talk.This is an extremely worthy cause and you can show your support when booking tickets online. Music will be provided by the Tom Cole jnr and his Band during the afternoon and prizes will be awarded to the best cars at 4pm in the centre arena. Breakfast, at €6, will be available in the grounds from 8am to 11am and a range of food will be available throughout the day. 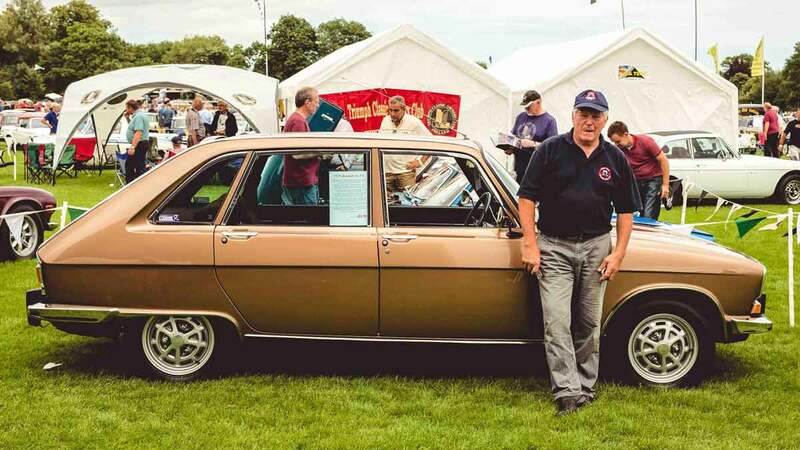 Many thanks to the owners of the 1,380 cars who attended last year. Note that all trade stands must be booked and paid for in advance and no unauthorised trade or commercial activity of any sort is permitted within the grounds on the day. There are a wide range of sponsorship and advertising opportunities are available at the show – please Contact Us for more information.